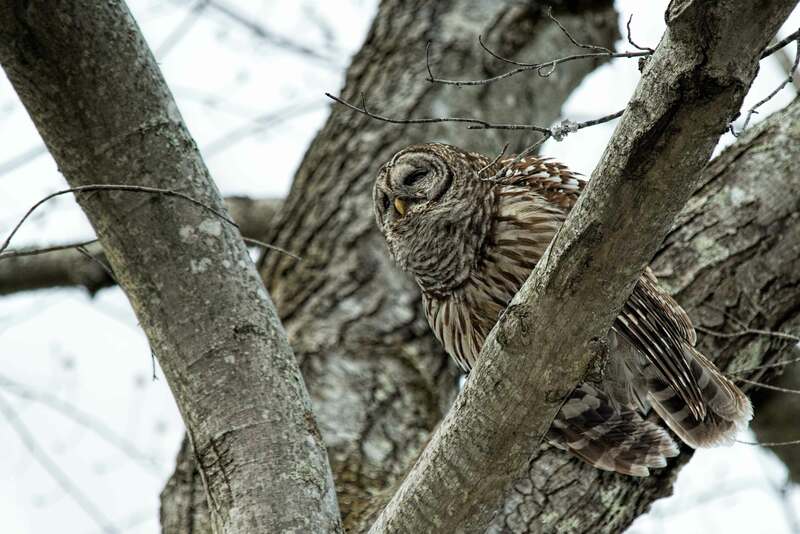 Last weekend, I took my kayak out of winter storage and went in search of the Barred Owls that live across the lake in a wooded area surrounding a creek that flows into the lake. I was able to photograph them several times last year, but I had not seen or heard them for several months. 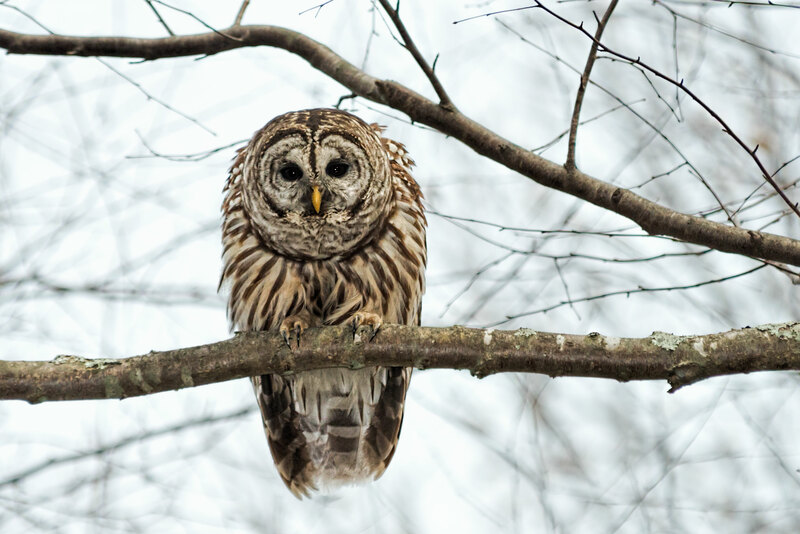 Barred Owls do not migrate, but may wander from their nesting territories when prey is scarce, for example when snow is deep. 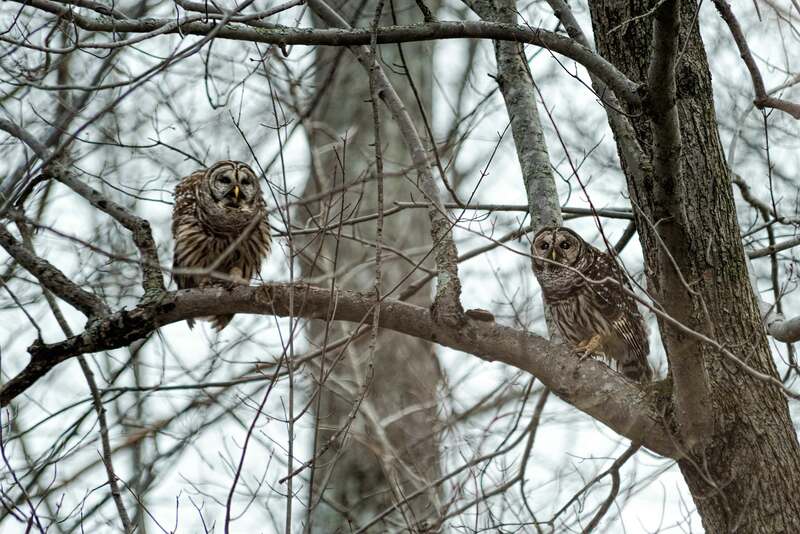 As you can see from the images in this article, I found the pair of Barred Owls. I arrived by kayak up the creek and it did not take long to spot the owls because the trees were leafless. After the trees leaf out, the owls are more difficult to locate and to photograph. I spent a couple of hours photographing the Barred Owls, and during that time, they occasionally moved from tree to tree. As I was photographing the owls, they were watching me closely, as you can see in the above image. 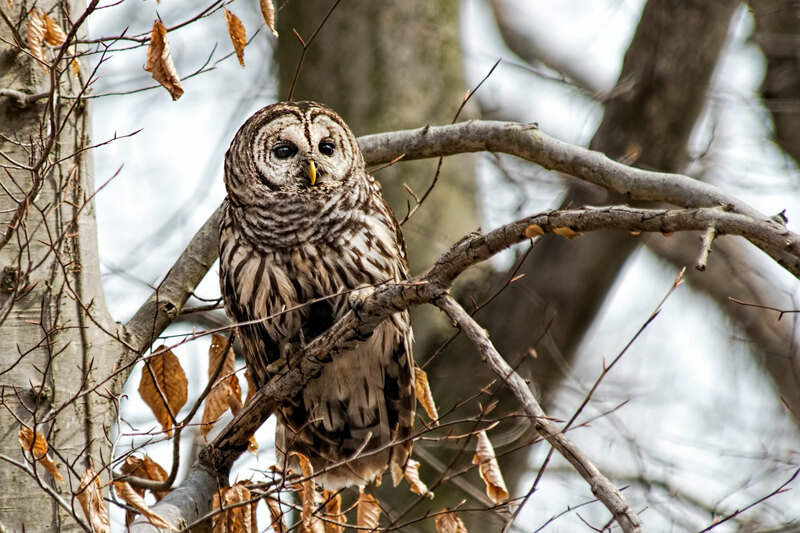 In Virginia, Barred Owls lay eggs in late March to early April. They lay 2 to 4 eggs per clutch. Eggs are brooded by the female with hatching taking place approximately 4 weeks later. Young owls fledge four to five weeks after hatching. Last year, this pair of owls successfully raised at least one owlet that I was able to photograph. You can see an image of that owlet at: http://stabone.com/p1059129935#h6ba9384c Hopefully, I will be able to photograph their owlets again this year. Since the owls did not seem to be disturbed by my presence, I was able to get fairly close at times, while staying in the kayak, and was able to get several closeup images. 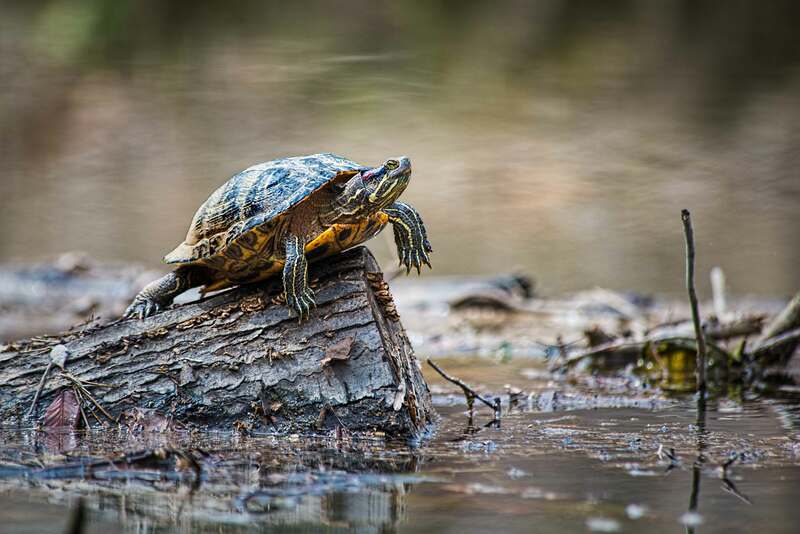 As I paddled back out of the creek, I noticed several turtles (River Cooters) enjoying the warm spring day. Below is one of them. Spring–ha! If you live locally or have been watching the weather for Virginia, you know that we had more snow yesterday (2 -3 inches). This has been a very cold winter, and I am ready for spring to really begin. The images in this article were photographed with a Nikon D800 and a Nikon 80-400mm lens, and for some of the images, I used a Nikon SB-910 Speedlight (flash) with a Better Beamer. Comments on my blog and this article are appreciated and can be entered by clicking on “Comments” found below the Like this: section. You can also read other’s comments there. 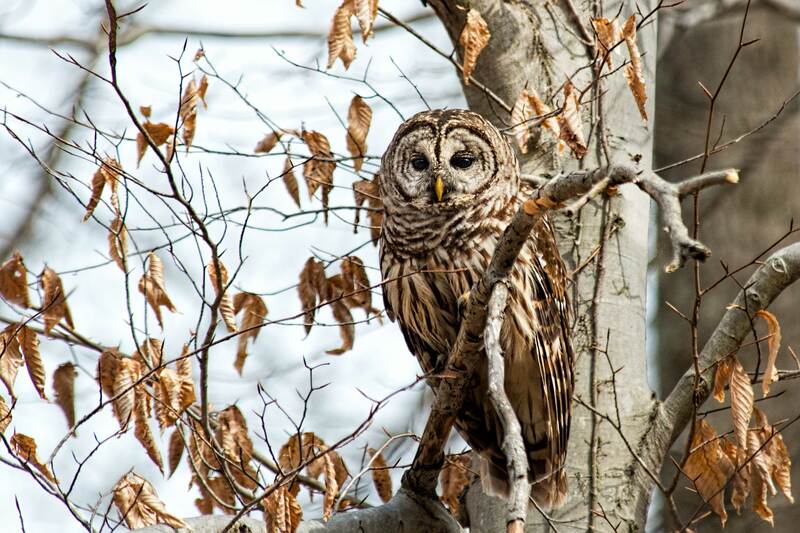 This entry was posted in Bird Photographs, Lake Montclair, Nature, Spring Photographs, Wildlife and tagged Barred owl. Bookmark the permalink. 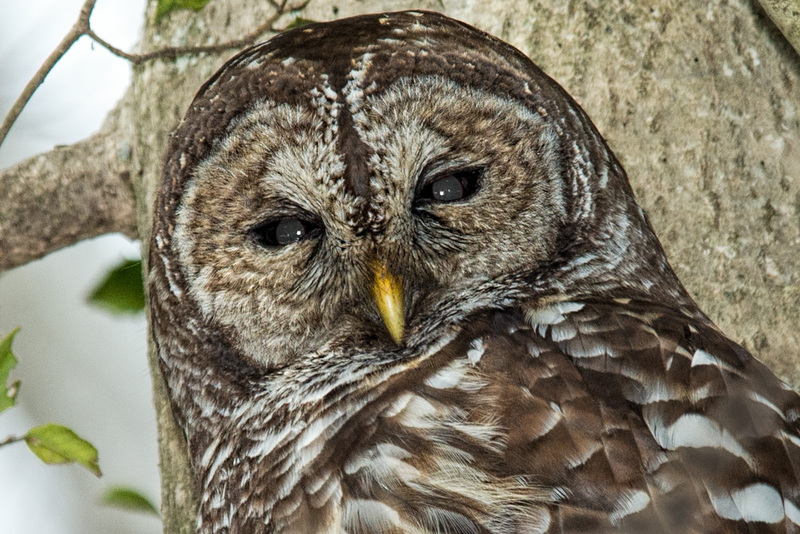 I’m happy the owls made it through this tough winter and stayed where you could find and photograph them. Outstanding collection of images as usual. I loved this set. Great, close up shots! Great shots of something most of us never see. This guy looks familiar. How in the world do you get up so close for these incredible shots. I know the camera helps but the guy behind the camera is pulling all the strings. I was right with you drumming up the image in my mind of you paddling across the lake. 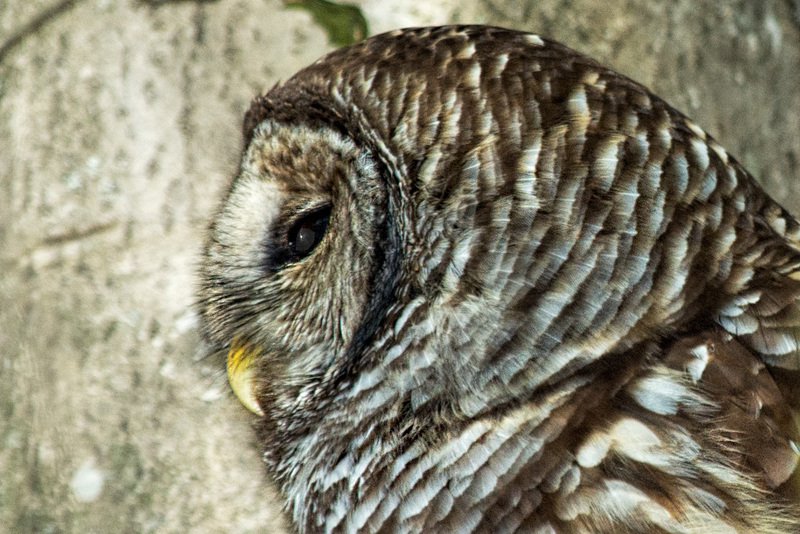 The effort paid off since you captured with your Lens the barred owl who obviously did not detect you were close by.